Set of 4 stamps designed by Sultane. Made in France. 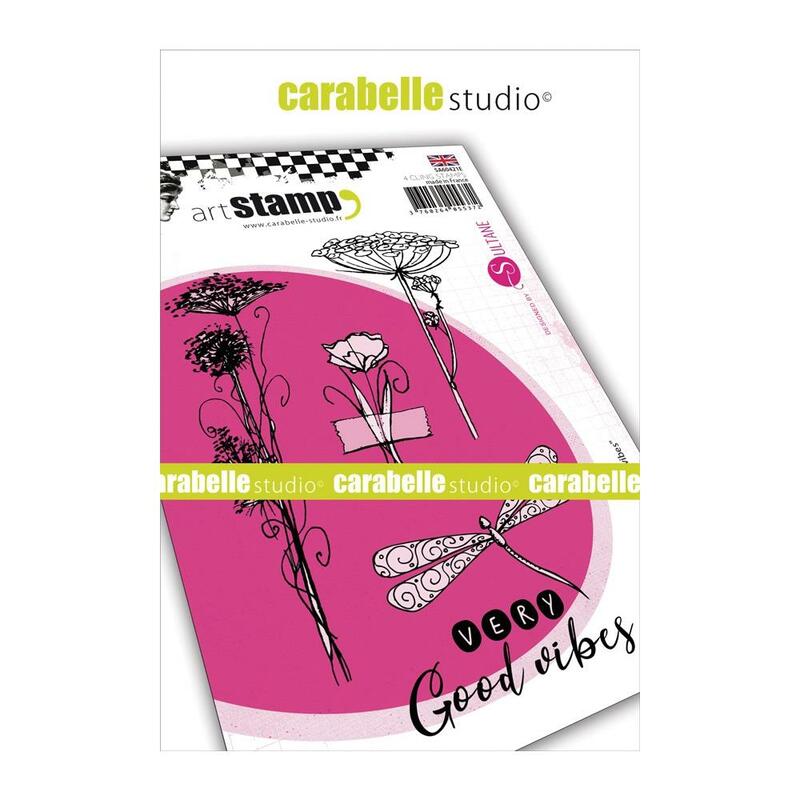 approx size of tall weed stamp: 1.25" x 4.25"
approx size of very good vibes dragonfly stamp: 2.5" x 2.125"